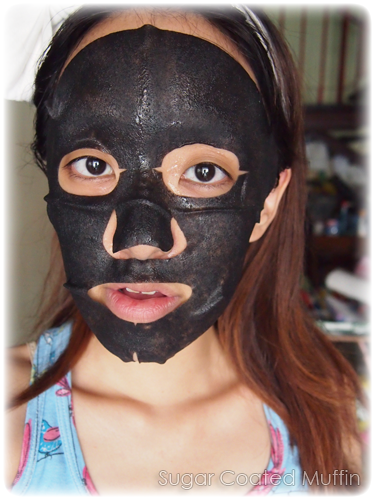 Wasn't too sure what's the exact name of this mask with so many words =/ Mask claims to be able to draw out and decompose FAT and dirt in pores @_@ Well, I've heard of the wonders of charcoal in absorbing smell but it's definitely a first for fats. 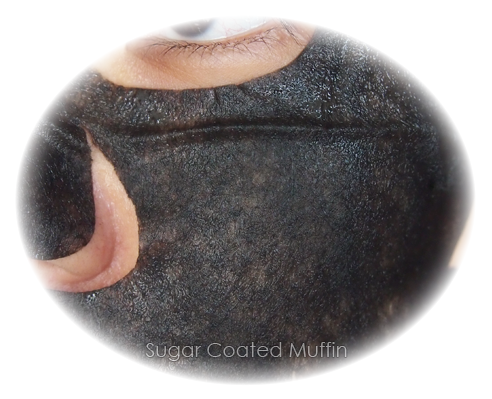 Also works to brighten skin, tighten pores and improve complexion. Size and shape is alright. Mine's a lil wonky around the eyes and nose.. The sheet is super moist with essence but doesn't drip at all. It hugs my face comfortably without falling off. 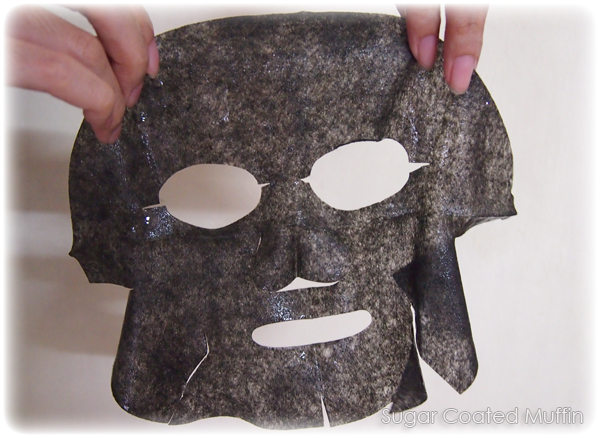 After 20 minutes, the mask begins to dry up a little which is the indicator for you to remove it. The remaining essence dries up really fast without leaving any stickiness. However, if you wet your face, you will realize that it's still there. I want to try out more masks! 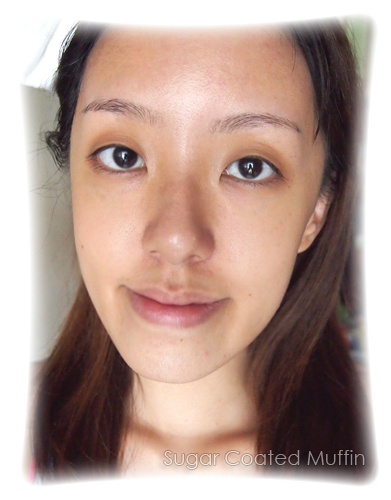 I'd like to try a whitening one to see if it would even out any acne scarring. Your skin looks nice and healthy afterwards!